As roofing contractors, you would probably need to fill out a statement of qualifications if you are bidding on a major corporate or non-profit project. The info required for this document is extensive and time consuming. The good thing about doing a statement of qualifications is that it forces you to compile the information about your business and put it in one place. Besides the contact information for roofing contractors, the statement of qualifications ask for the status of your company. Are you a corporation, partnership. etc. You will be asked what the address, email, phone number and fax for your major address. If you have more than one address, then you need to supply the information for the other addresses. The statement of qualifications want to know what suppliers roofing contractors use. The list includes the contact name, address and telephone. The list is fairly extensive because it covers all your supplier contacts. If your not a partnership, there are the similar questions on your company and the leaders of it. 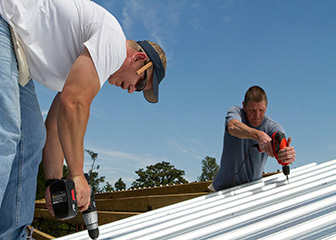 The qualification for roofing contractors requires the contact information for both your bank and bonder It also asks what the single and aggregate sum involved. “POINT OF CONTACT: Person who will be able to answer any customer satisfaction questions. PHONE NUMBER: Phone number of the contact person. EMAIL ADDRESS: Email address of the contact person. USER NAME: Name of Company / Institution that procured the roofing construction work. PROJECT NAME: Name of the project. DATE COMMENCED AND STATUS: Date when work commenced, percent complete, and scheduled completion date. ADDRESS: Street, city, and state where the work was performed. SIZE: Size of project in dollars. DURATION: Duration of the project / construction in months. TYPE: school, offices, warehouse, etc.). Make sure your information is accurate. It will be checked.